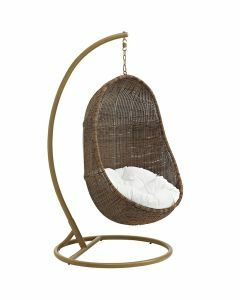 Blissfully relax while swaying in this stylish macramé hanging chair. Includes rope and hook loop. Maximum weight of 285lbs. Item is made of cotton and measures at 44½” H x 31” Dia. Click on image for greater detail.